LONDON, UK, August 26, 2014 (ENS) – Mining companies are often seen as dinosaurs when it comes to making changes that will benefit the environment, but that perception may be shifting as some companies turn to renewable energy to cut costs and lighten their carbon footprint. But as the cost of diesel fuel and electricity continues to rise, mining companies are searching for ways to cut their energy bills, and renewables are looking increasingly attractive. The main reason is cost. Choosing renewable energy, especially in an industrial setting, used to be cost-prohibitive, but that is starting to change, in some cases dramatically. CleanTechnica reported last week that for systems with the right economies of scale – 10 megawatts or higher – solar power can now be generated for between $70 and $100 per megawatt hour. That is four times lower than in 2009. China and the United States both have plans to make solar competitive with coal-powered electricity within a few years. Lastly, using renewables in their operations is a way for mining companies to change their reputation as eco-pariahs, which can only help their relations with governments and host communities. Over in Tanzania, African Barrick Gold is exploring the possibility of using solar power at its Bulyanhulu mine, “Mining Weekly” reports. The company has also looked to move away from diesel-generated power by tapping into the state-run power utility, which uses a combination of hydro, natural gas and thermal energy. 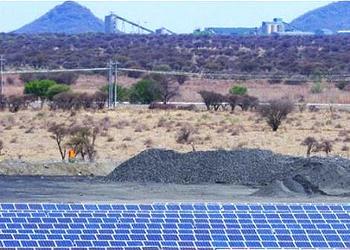 African Barrick Gold expects solar could give its three mines in Tanzania 18 percent of their power needs. As mining companies continue to evaluate their power options in an era of higher diesel fuel and electricity costs, it is interesting to contemplate whether they could one day foresee operating in an environment more weighted towards renewables than conventional energy. 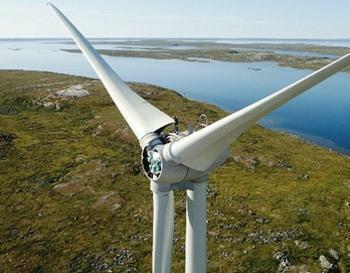 While that seems far-fetched now, considering the amount of equipment and plant machinery that relies on conventional power and fuel, the examples cited here show that renewables are already finding increasing currency among the world’s major miners.